Home » Health » Oral Healthcare » Kid's Oral Care » When do Babies Start Laughing? How to Giggle Them? Who doesn’t enjoy watching a baby laugh out with happiness and joy? A baby’s smile can turn your tiring, lousy day into a bright and happy one. It instantly touches your heart and brings a smile on your face. All parents wait for this precious moment to watch their baby smile and laugh for the first time. It is a moment they eagerly anticipate and cherish. These first events become a milestone and stay with every parent as the sweetest memories of their life. But not every child smiles so easily. Every child is unique and different. One child may smile or laugh quickly while another child may take time. So, you may have questions like when do babies start laughing and what is the significance of a baby’s laugh? When do babies start laughing? 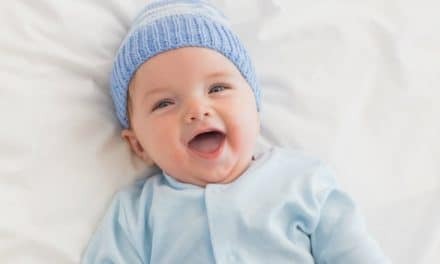 Believe it or not, babies start to laugh way before they are even born. A baby develops the facial ability to move the lips, nose, and eyebrows by 35 weeks of development. Ultrasound research done on pregnant women, around 24-36 weeks of pregnancy, revealed certain facial movements of the growing baby that were identified as laughs. After birth, a baby starts to smile at around two months of age. It generally happens as a response to internal stimulus while sleeping. It may take from 3-4 months for a baby to respond by laughter. Usually, it is initiated by a physical stimulus like tickling. At about 5-6 months of age, babies may respond to visual stimulus. For example, they may laugh at a person smiling at them. This response of a baby indicates the ability of the baby to differentiate between the regular and funny events. What is the importance of a baby’s laugh? Laughing or smiling are the cues of one’s understanding of the events happening around. For example, we as adults laugh when we are amused by something or find something unusual. The same goes for the babies. A baby’s laughter often indicates the activity of collecting information about the surrounding people, objects and events. It is the baby’s way of reacting to the world around them. A baby’s laughter is the earliest sign of communication. Laughing or cracking a joke is often considered as the best way to socialize with a stranger. We as adults have tried it in our life. The moment a sad or angry person laughs, all stress and tension go away. Laughing helps in building relationships. A child uses a laugh, in the same way, to socialize with the people around. It indicates that your child understands the social norms. A study says that babies learn to laugh at people and sometimes with the people to show that they are social. Laughter has a significant impact on a child’s self-esteem. Have you ever watched a baby fall from a bed and not cry? Studies have shown that children who laugh at their own mistakes are more comfortable accepting their imperfections and have the determination to keep trying. Such children turn out to grow as confident and happier in life. What happens when a baby doesn’t laugh? Not every baby will respond quickly to the surrounding events. Every baby has their innate traits and temperaments. Some may take a longer time to start laughing and adapting to their surroundings while others may be quick. What can you do to make your baby giggle and laugh? The key is to wait until your baby can interact openly and recognize the events happening around. You will be able to communicate well and encourage your baby to laugh. Always remember that your aim is not to forcefully make your baby laugh but to help and encourage. Keep a check on the baby’s responsiveness to your actions or funny noises. Create an atmosphere of joy and laughter. You can interact with your baby in a funny way. This will encourage the baby to laugh with you. One to one interaction with your baby will stimulate the development of the brain and also strengthen your bond with your child. Don’t try to be too creative, the sillier, the better. Try to imitate animal sounds or make funny noises that the baby finds amusing. You can always include physical actions in your play. For example, you can play a game of peek-a-boo. Babies are curious by nature. They like to know what will happen next. A game like peek-a-boo will keep them engaged and encourage them to laugh. Physical stimulus like tickling, moving the hands or legs also stimulates the nervous system, which makes the baby respond in the form of a smile or a laugh. Whatever methods you try to make your baby laugh, always notice the response and then continue it. If you see the baby getting fuzzy and crying, stop the action immediately. A baby’s laugh is a sound of joy and happiness. As a parent, watching your baby laugh is just rewarding. Don’t panic if your baby hasn’t started to laugh yet. Always keep a check on his actions. Consult a pediatrician and talk about your concerns. A pediatrician will not only be able to check the stage of development of your child but also guide you to take up steps that will encourage your child to smile. 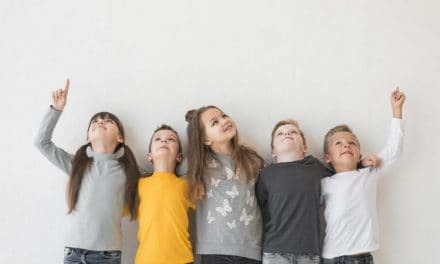 Every child is unique and has a different timeline of hitting milestones. Patience and positivity will help you and your child to stay calm and enjoy every moment together. Previous14 High Cholesterol Foods – What to Eat & What to Avoid?